Brazing the drop outs to the chainstays. Dropouts on Gary’s bike are Ritchey socket dropouts. I like these and they’re pretty easy to work with. They do require a bit of work to remove the casting marks but clean up pretty well. I like their compact size. 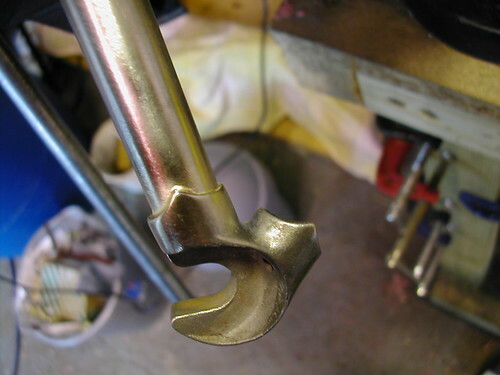 They’re pretty similar to the Breezer socket dropouts but a little less common. 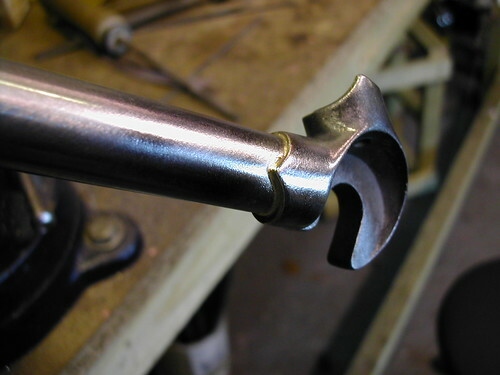 The stays are s-bend Columbus and have already been cut to length. In this picture we see the stays mounted in my chainstay fixture about to be brazed. 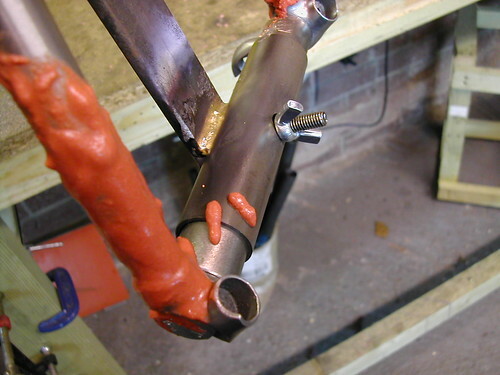 You can’t really see the dropouts here as they’re coated with plenty of flux. The flux is there to prevent the base material from oxidising too much when you hit it with the oxy-acetylene flame and it also helps to make the brass filler flow nice and smoothly. Here’s a couple of pics of the dropouts once they’ve been brazed and cleaned up a little bit. I think they turned out pretty good. The little points on the outside go well with the h20 bosses. More on that to come.